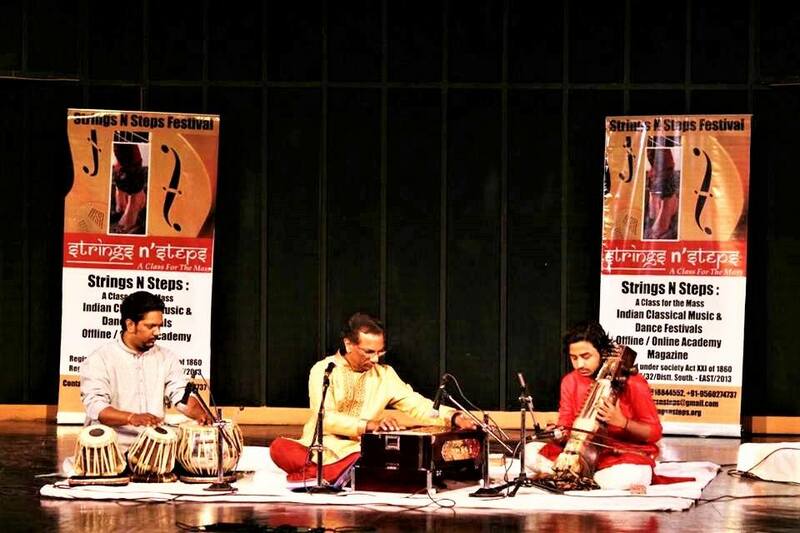 The sixth edition of the strings and steps festival organised by noted Kathak dancer Sangeeta Majumder and Hawaiian guitar player Neel Ranjan Mukherjee got off to a flying start in the Capital. 'Strings N Steps' will be considered among the top in terms of the artists they invite to perform among few young organisations in Delhi of Indian Classical Music & Dance. 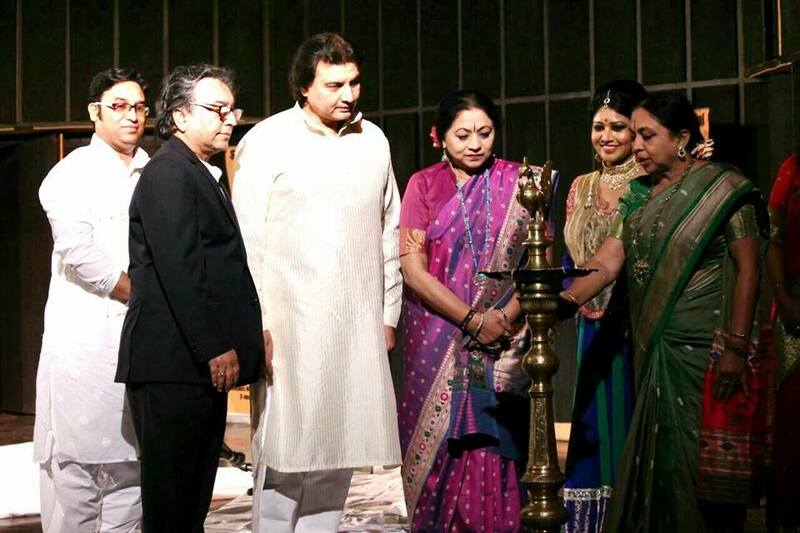 ​The festival was inaugurated by the famous Kathak duo Vidushi Nalini Kamalini, Chairperson of Kathak Kendra. ​The program started with the flawless performance of 'Strings N Steps' in front of a packed audience. The First composition w​as performed in Raag Jog and Taal Rupak. Neel Ranjan's Hawaiian guitar sings with perfect tune and rhythm. His counterpart Kathak Dancer Sangeeta was very swift and graceful at the same time. The audiences really enjoyed their jugalbandi. Next composition was a tarana in Raag Chandrakosh composed by Pandit Debu Chaudhuri. It was in teen-taal and everyone performed in full of energy. "Performing and organising together are not an easy task", said Sangeeta, "it ​is​ always the blessings of my mother, gurus and senior artists who performed in the festival. ​From the mouth of eminent Hansaveena artist, Pandit Barun Pal, about the 'Strings N Steps' presentation "it was indeed a great experience attending the 1st day of the Festival of String and Steps on the 20th March at the Stein Auditorium. The first item was so innovative, dynamic and full of energy. Neel Ranjan Mukherjees musical rendering on slide Guitar, reciting Boles and Parans gave Sangeeta Majumdar's dedicated Kathak dance a new and rich dimension . Vocalist Zaki Ahmed did his job with all sincerity. Young Tabla player Zuheb Ahamad Khan was very smart, aggressive and alert. Though there was not much scope to expose, I personally enjoyed the tonal sense and accompanying attitude of the young Pakhawaz player Bhanu Sisodia. ​Himanshu Dutta on Flute was so musical and humble. He was an example of discipline and perfection and truly utilised his scopes to create a serene atmosphere of Ragas. Six most talented artistes constantly giving their best was something which demanded little more time. Old Ragas like Jog, Chandrakaush in new bottle was the appreciating thought of Neel Ranjan. However, was that short Bhairavi composition really adds anything for music and Dance performance as a whole? Sangeeta Mazumdar had a command on her performance; however, she had to rush to give a complete dance item. Pandit Dev Bansraj, ​is ​an eminent vocalist, teacher, founder of Saaz O Awaaz, Canada. We can add more with his name. He is an ​artist with a great fame in that p​a​rt of the world. His Chhap Tilak and Elaaj-e made the audience feel the perfect love Shringarik and of course spiritual. It is truly said ''If you want to be a good musician, become a good human being first." His peaceful attitude took all the listeners to an​n​unknown world of affection. Small things show what a person he is made of. 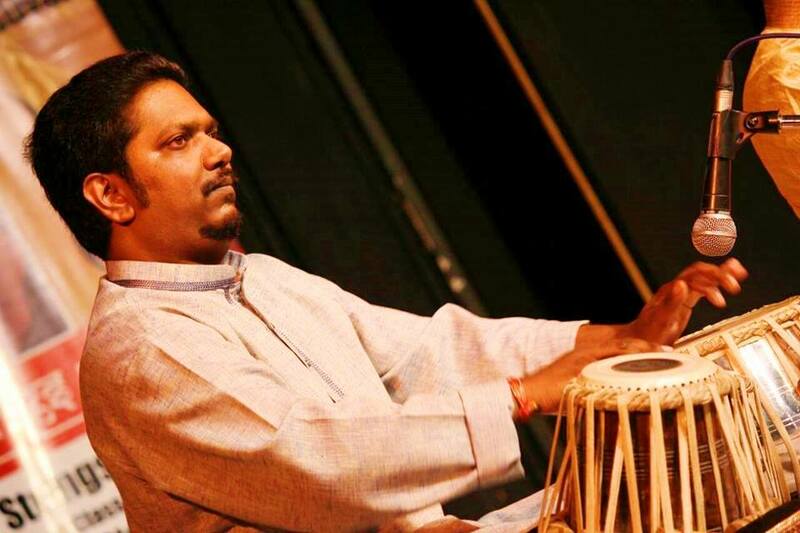 Dave Bansraj Jr. was a perfect accompanist with his Tabla. Mudassir also skillfully played his sarangi with them. Next artists were Sitar Maestro Pandit Prateek Chaudhuri who is the son of Pt. Debu Chaudhuri performed in his usual mood. Alaap was in Raag Shyam Kalyan followed by Masitkhani Gat in Teentaal, madhyalaya Gat in Ektaal and Drut Gat in Teentaal. Ustad Akram Khan who is one of most famous Tabla artist of the country has his own charm in his playing. Audiences were mesmerised with his singing tabla. The famous kathak exponent duo Vidushi Nalini-Kamalini, Living legend Sitarist Pandit Debu Chaudhuri, Prof. Ravi Sharma (Eminent Sitarist) were present as the distinguished Guests for the evening. 'Strings N Steps' does allow all artistic influence or collaboration. Artists of various shades, painters, writers, dramatists, poets are attached to them. "Arts' greatness lies in taking them all together." On this note, the 'Strings N Steps Global Award' were conferred to Eminent P​o​et Shri Amarendra Khatua, Vidushi Saroja Vaidyanathan, Pt. Dev Bansraj, Vidushi Anupam Mahajan, Pt. Prateek Chaudhuri and Gaurie Dwivedi. Second day the audience witnessed a beautiful lec-dem on Rasanubhuti by Vidushi (Prof). Anupam Mahajan​. Her performance was a perfect depiction of music. The music itself seemed personified through the sitar. She also played some traditional bandish by Ustad Mushtaq Ali Khan. 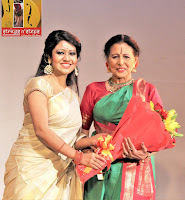 Next performance was by living legend Vidushi Saroja Vaidyanathan who is an epitome of beauty. 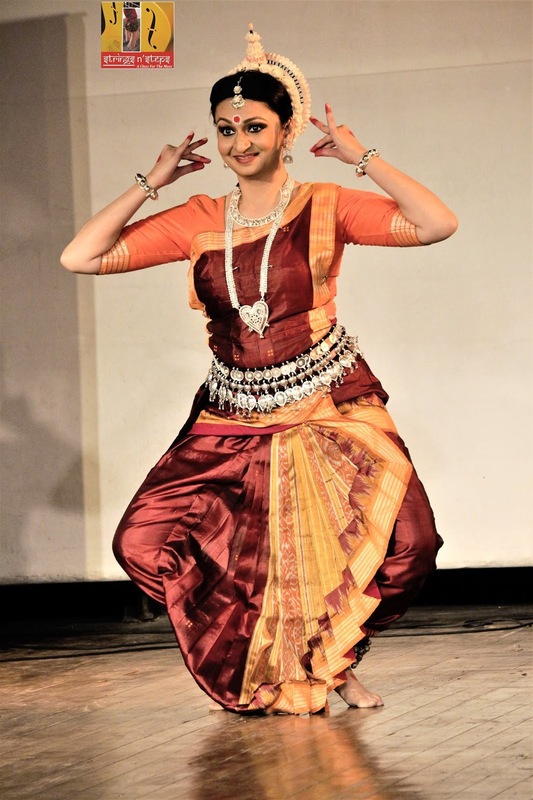 Her lecture demonstration was on Ashtanayika which enthralled the audience even who were, till that time, was not much acquainted with Indian Classical dance. The eight types of heroines Vasakasajja, Virahotkanthita , Svadhinabhartruka, Kalahantarita, Khandita, Vipralabdha, Proshitabhartruka, Abhisarika The concluding performance of the evening was Odissi Dance Recital by Gaurie Dwivedi. It was a heart capturing depiction of Devi Stuti. Among the audience there were children of an NGO HUHC who enjoyed the whole program and they were invited to Strings N Steps Online and Offline Academy at free of cost. The whole event was dedicated and presented to promote Indian Classical Music & Dance around the world specially in Canada. 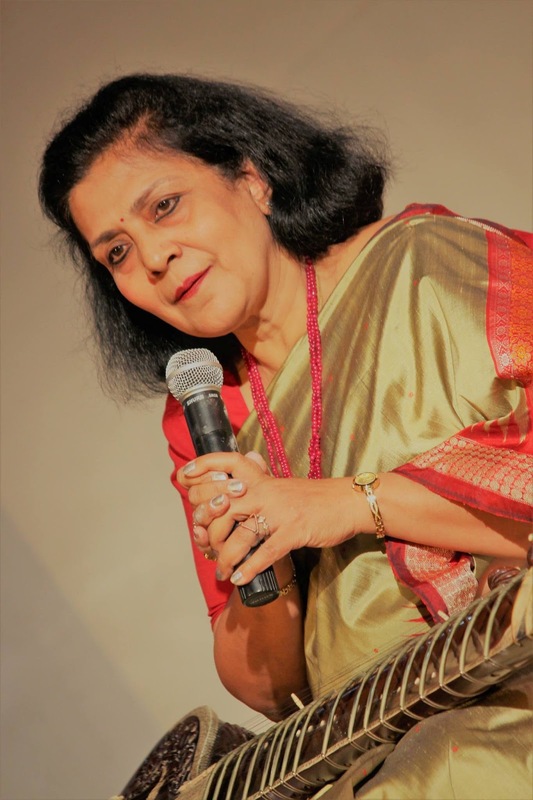 Zaira Ann Ramkissoon, the Director of 'Saaz-O- Awaaz' (SOA), a very prestigious institution of Indian Classical Music said about Indian music globally and how they are trying to make it flourish in Canada. Indian music, when in India itself is being unattractive with the influence of Bollywood or the different genre of western music, they are trying to hold back and flourish this tradition from the Vedic Age. 'Strings N Steps'(SNS)is now with its academy in Delhi and Kolkata in India has enrolled many students both online & offline. They're giving platforms ​for ​the children from different NGOs too. In future also SNS & SOA will work together to promote Indian Classical Music & dance all around the world, for all age groups and from grass-root level to cream-level of the society. The second day distinguished guests were DG, ICCR, Shri Amarendra Khatua and Ustad Iqbal Ahmed Khan,Khalifa of Dilli Gharana, an eminent vocalist. The two evening of traditional arts which had been captivated where the legendary artists, young artists, scholar-aesthete, elegant, articulate audiences were in perfect energy.